Dr. Jane Goodall and JGI know the power of social media can connect far more people much more quickly than any one person could do on their own. This is why social media is Jane’s Fifth Reason For Hope – and why #JanesTrafficStop is going to bring people from across the globe together like never before to work toward finally ending the illegal wildlife trade. Jane’s Traffic Stop is a global social campaign to end wildlife trafficking, and we know that with each of you helping, we can. All of our efforts to save wildlife will be crippled unless we educate ourselves and one another, and act to defend wildlife against poaching and trafficking. For every 1 chimp taken from wild for the pet or entertainment trade, likely 10 others have been killed for bushmeat, to orphan chimps, or in the mix of the poacher’s snares. The issue is robbing this world of thousands of species – populations which will take hundreds of years to recover, or not at all. Our planet will be empty, and we will be lost. 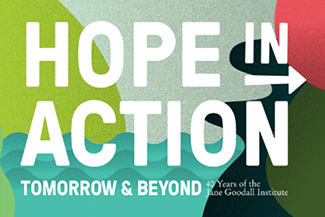 Also check out our JGI Facebook, Twitter and Instagram @janegoodallinst for the latest! This is where the conversation begins. 80% of the U.S. population knows little/nothing about wildlife trafficking. With Jane’s Traffic Stop, we are sharing conversations, information, questions and more around wildlife trafficking to get people talking about, sharing and responding to the issue like never before. 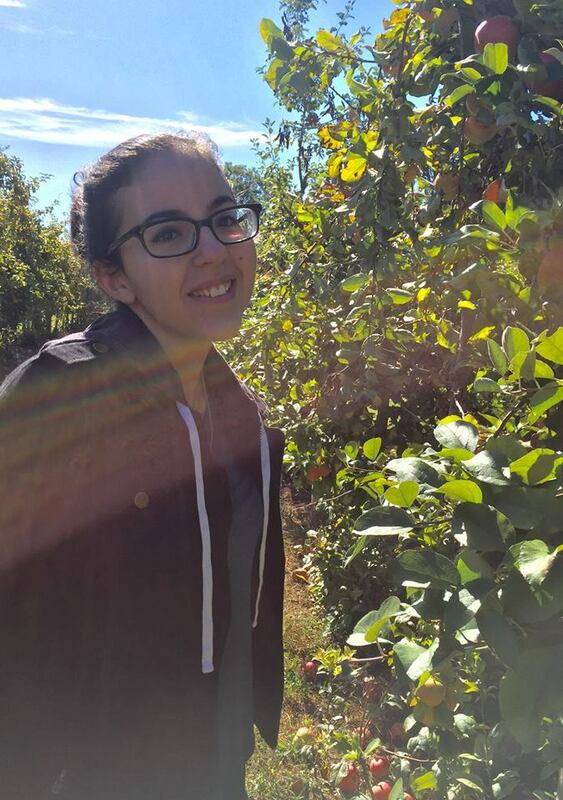 As a part of our live chats, Roots & Shoots (JGI’s youth education and leadership program for people, animals and the environment) U.S. National Youth Leadership Council Member Mady Eori will be one of our Wildlife Watchers taking us along for this journey! 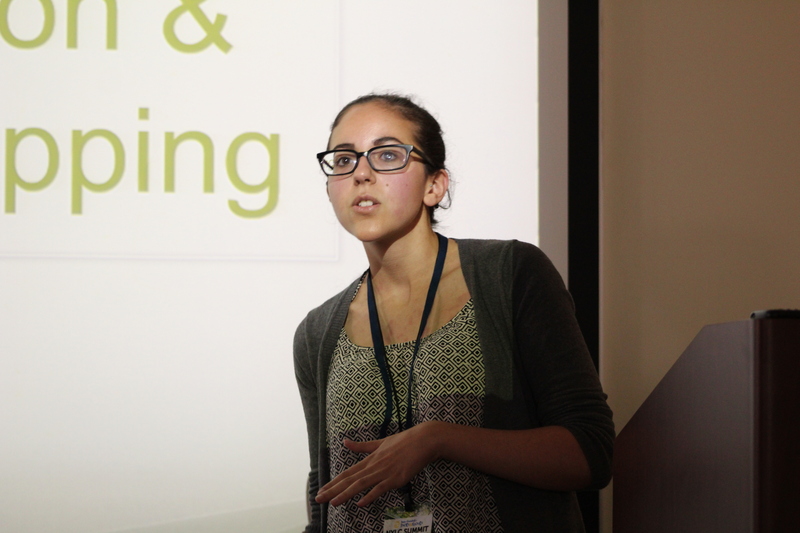 Introducing Wildlife Watcher Mady Eori! Mady Eori, is 18 years old and a freshman at Boston University. She is double majoring in environmental science and biology with a specialization in ecology and conservation. She has been volunteering and doing work within environmental conservation for about 5 years. This has included volunteering at animal shelters, being president of her high school’s environmental club, giving talks about sustainability and wildlife conservation, as well as partnering with local organizations to facilitate my own research within these fields. She has been with the NYLC for 2 years. For one of her major Roots & Shoots projects she received a Girl Scout’s Gold Award. After she graduates, she hopes to be a wildlife conservation scientist doing field research abroad! After traveling to Costa Rica in 2013 for an environmental science trip, Mady noted that Costa Rica is home to four out of the seven species of sea turtles in the world. This makes it a huge destination for nesting for thousands of turtles each year. Upon returning to Massachusetts, a place where sea turtles also nest, she decided to create a project around their conservation. When sea turtles stray into colder waters during fall and winter, they get stranded on beaches in a condition known as “cold shock.” Mady partnered with Mass Audubon, which had placed paper signs up to let people know that stranded turtles can in fact be rescued 90% of the time. This partnership allowed Mady to help Mass Audubon to design informational turtle signs made out of aluminum, to improve upon the existing paper signs. She raised funds for these signs by selling bracelets made out of coffee beans inspired by her time in Costa Rica. Because of the signs, Mass Audubon was contacted by many more people discovering stranded sea turtles, and they were able to rescue an incredible 1,200 – versus their normal 150 turtles. Mady realized that New England has a dual issue – it is where many people come to hike, and it is also one of the places bobcats are located in the U.S. They have been on the endangered species list, and Mady decided to do something about bobcat conservation. About 30,000-40,000 bobcats are killed everywhere for their pelts (10% of their population). They are not protected in Massachusetts and increased poaching and urbanization is contributing to their demise. As an interactive educational tool, Mady set up camera traps to inform people about bobcat species loss. Camera traps are video cameras that run for weeks at a time to view normally elusive animals without interfering with them. To raise funds, she sold fake fur and leather bracelets stamped with a trail of paw prints sold along with bobcat gummies. This was enough for one camera. With this project she educated her community and spoke at several schools, environmental groups, and libraries in her town and local area on the endangered bobcat, demonstrating the camera video and getting people invested in their conservation. These Wildlife Watchers will be learning, commenting and sharing along with all of you as we work to end wildlife trafficking. They show us that each of us can make a difference in so many ways – it’s up to us to take advantage of each day to contribute some bit of good for the world. 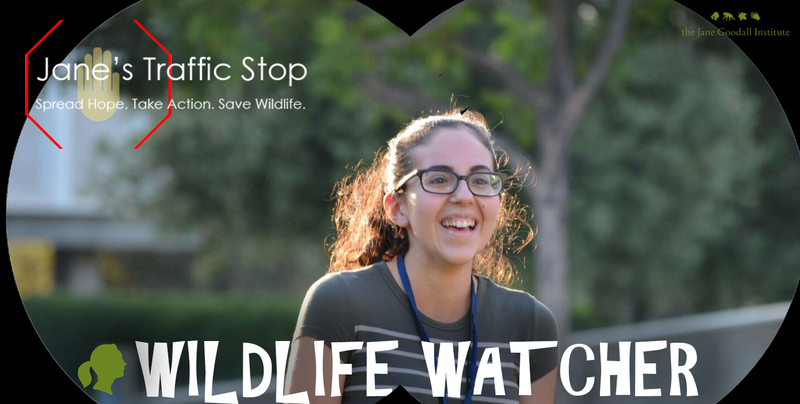 Join Jane’s Traffic Stop and stop wildlife trafficking in its tracks. Start here: sign & share our petition – http://change.org/janestrafficstop. Next Article Queen’s Treasures Dr. Jane Goodall Doll Accessories Are the Stuff of Imagination!